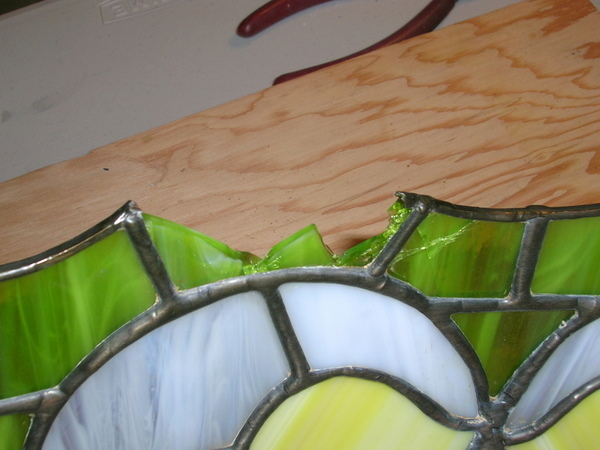 A client bought this panel in Ontario a number of years ago, unfortunately it was dropped and asked if we could repair it, which we did in 2007. 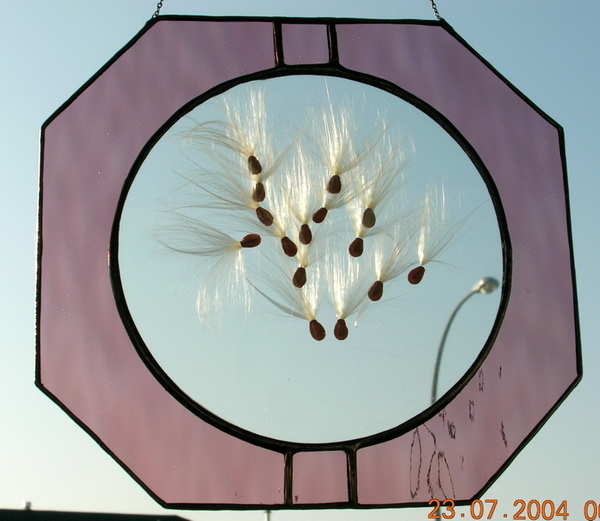 We had to completely rebuild and reposition the milkweed seeds (Milkweed can be found in the Province of Ontario) which were between 2 sheets of clear glass, along with installing a hanging chain and polishing. 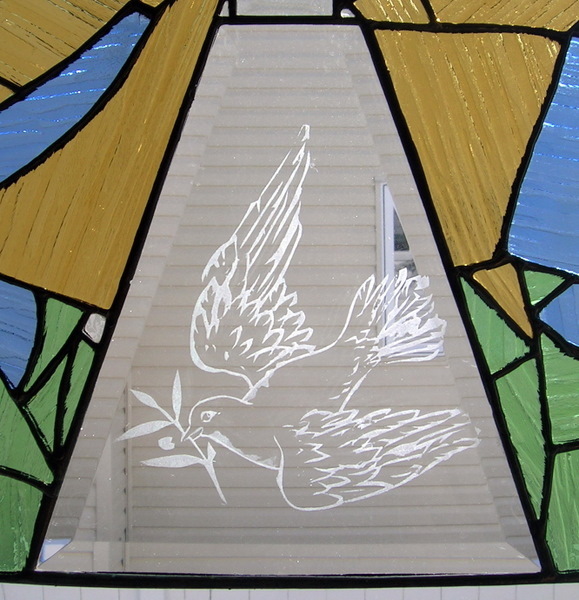 Each foyer window that the 3 of us constructed for Markerville’s Historic Church contained bevels, on one window Laurie Chilibeck etched a Dove. 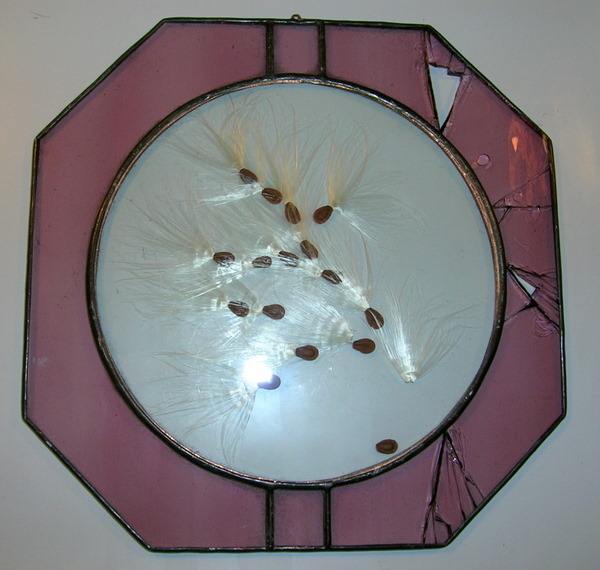 In 2006 Markerville’s Lutheran Church was pounded by a devastating hail storm. 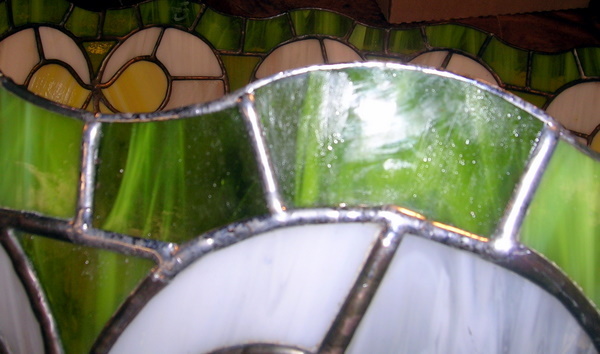 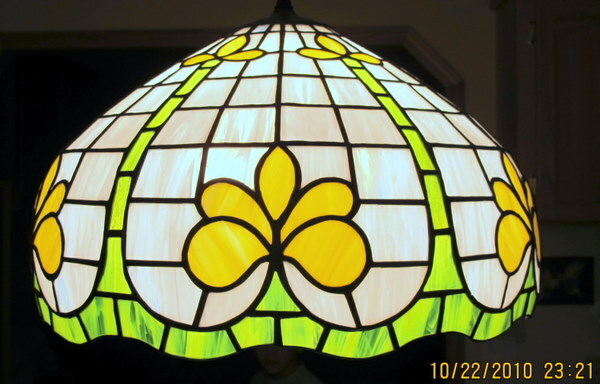 Laurie Chilibeck of Sylvan Lake wanted to help and together with us, transformed broken stained glass into two stained glass inserts for the church’s foyer. 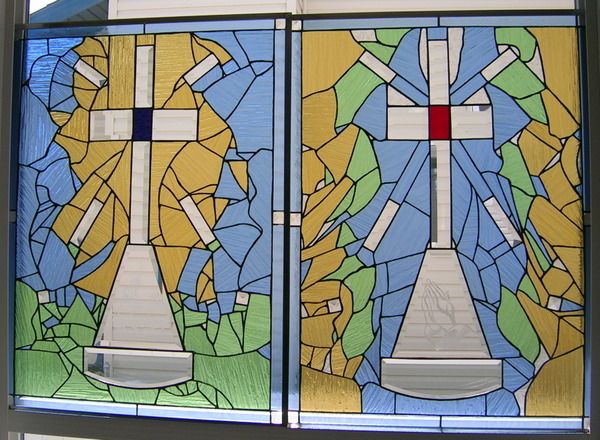 These beautiful creations were dedicated during the 100th anniversary of the church on June 16, 2007. 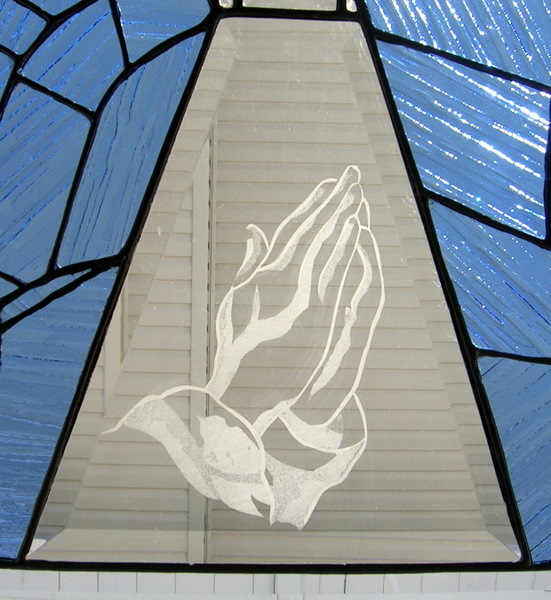 This Historic Church is now an official Provincial Historic Resource.